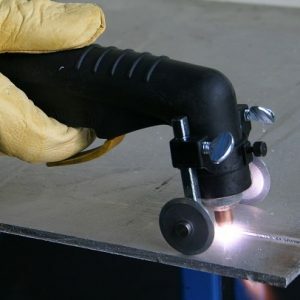 The Plasma Guide Kit is the ultimate package for the serious professional metal fabricator, including proven roller and circle guide and plasma cutting accessories. 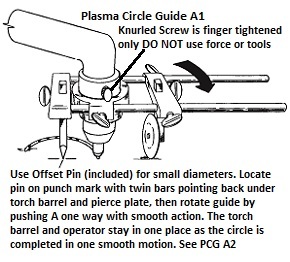 The Plasma Guide Kit is supplied to precisely fit your torch. Select from the Torch Brand/Model List, and matching Guide Kit(s) will be displayed. (Part No’s CP1001A to CP2004Z). Click on the Thumbnail Picture to open the full product page. The bushing/adapter sleeve is supplied factory fitted to the circle guide included in the Guide Kit. Tanjant’s unique design turn & lock Suction Pivot for use on alloys is included in the Plasma Cutting Guide Kit, includes turn-post.